Nokia's told us that it is, in fact, bringing the Lumia 800 to the US on Valentine's Day as part of a bundle in the Microsoft Store. First reported by the Verge, the bundle will apparently be $900. Though Nokia wouldn't confirm the price, it did say that for now the bundle will be the only way for US customers to get the 800. Which is so very confusing. 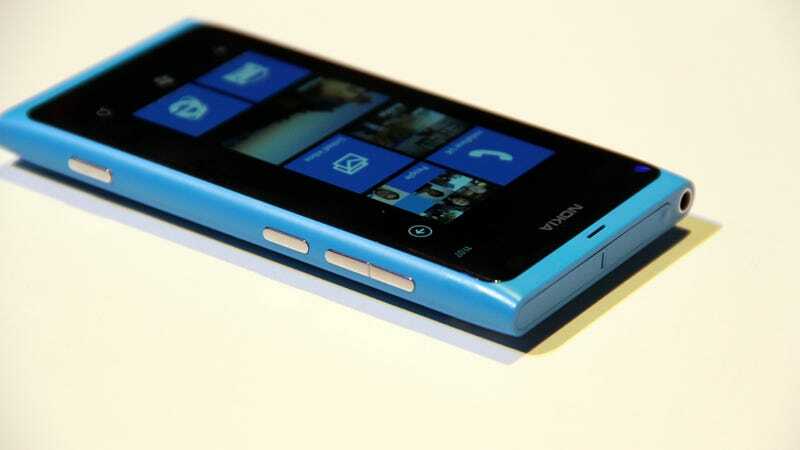 First of all, we REALLY LOVE the Lumia 800. And it's cool that this one's going to be optimized to AT&T's US spectrum. But no one's going to spend $900 on that bundle. No one who isn't very, very stupid, at least. Second, a crazy expensive bundle for an unlocked-only phone is just weird, given the circumstances. Nokia's plan has been to blitz the US with value. The Lumia 710 on T-Mobile is just $50. The Lumia 900 might be $100. Who in their right mind would pay $900 just for a smaller version of the 900, but with no LTE? The other thing is the radio. If it's the same radio set as the European 800, it's not pentaband. Nor is it CDMA. That would mean that even though it's only available unlocked, the only major US carrier it's compatible with is AT&T.